NIA CHARLESTOWN NEVIS (SEPTEMBER 23, 2016) — Premier of Nevis and Minister of Finance Hon. 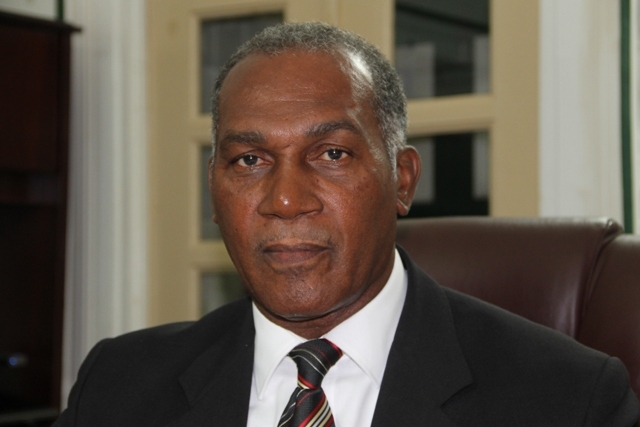 Vance Amory, says to restore a safer and crime-free environment in Nevis, the fundamental social undercurrents that give criminality its roots must be addressed. “We are aware that social issues are very complex, cutting across many areas such as poor parenting, teenage pregnancy, absence of fathers from the home, poverty and many other factors. “However, we believe that the overriding factor is unemployment resulting from a lack of opportunities for the young or in some cases, a lack of the young taking advantage of the opportunities which are provided,” he said. The Premier stated that while the NIA continues to work aggressively with the police to reduce crime, it recognises that improvements in detection and incarceration rates will only partially solve the problem of crime. Mr. Amory noted that although the Administration intends to address all of the challenges associated with crime in its policy formulation, priority would be given to empowering youths through the expansion of opportunities. “This is why the government will continue to invest and encourage investment in opportunities, where jobs are created and will provide opportunities for self-employment, opportunities for the earning of foreign exchange and for improved living standards, generally. “We will also continue to focus on human resource development, providing opportunities for our people to live healthy lifestyles, to take part in decision making through ongoing consultations and public forums and obtaining decent work and opportunity to improve their overall social and economic wellbeing. The Premier expressed hope that the youths would take advantage of the opportunities made available to them as a result of the administration’s policies.